The snowfall at the start of the year did not deter visitors to St Mary’s Priory Church and Tithe Barn; thanks to Tithe Barn manager, Richard, paths were cleared to allow easy access. Vicar of Abergavenny, Fr Jeremy Winston, appointed Dean of Monmouth. St Mary’s welcome over two hundred children from Church schools across the Diocese. The Priory Centre hosts a Wine Tasting Evening with fine wines selected by Tanners Wines. The Royal Wedding is broadcast live in the Priory Centre and the ‘congregation’ dress in their wedding finery for Champagne and canapes. Tithe Barn manager, Richard, flies to Nepal to begin his 10 day trek in the Himalayas to raise money for Dogs for the Disabled. The first in a series of chef demonstrations commence in the Tithe Barn. Local chefs, Steve Bennett (Llansantffraed Court Hotel) and Simon King (1861), delighted the audience with the culinary expertise. The Priory Centre hosts a chocolate demonstration evening with master chocolatier, Jules James, from Black Mountain Gold. The final chef demonstration with Gary Nugent (Crown at Pantygelli) is hosted in the Tithe Barn. The St Mary’s Priory Festival of the Arts is officially launched. Work commences on the tower at St Mary’s Priory – the scaffolding is a work of art! Tithe Barn starts selling delicious handmade soap from the SugarLoaf Soap Company – very popular with our visitors. After 18 years as Vicar of Abergavenny, Fr Jeremy said his farewells to a packed congregation at Evensong. Another successful Abergavenny Food Festival weekend! Miller Research hold their Food Festival Conference in the Priory Centre. Fr Jeremy Winston is installed as Dean of Monmouth. The whole service is relayed live from the Cathedral in Newport to a giant screen in the Priory Centre. Bishop Dominic gave the address. Local artist displays paintings in the Tithe Barn. The Boyon Ensemble return for their annual concert in St Mary’s Priory. Abergavenny welcomes Californian hermit monk, Cyprian Consiglio. The Diocese of Monmouth celebrates its 90th anniversary. Wedding Fair is held in the Priory Centre. Day school on Raymond Williams’ novel People of the Black Mountains is hosted in the Priory Centre. A Viscount organ is kindly donated to the choir at St Mary’s Priory – getting it up the stairs to the Music Room was a real challenge! It was with great sadness that we learnt of the death of our former priest, the Very Reverend Jeremy Winston. His funeral took place in a packed Newport Cathedral. Bishop John Davies gave the address. Tributes are left on the blog. Crickhowell Choral Society perform in St Mary’s Priory. Abergavenny celebrates the Diocesan link with the Highveld. The Abergavenny Food Festival Christmas Fair is another huge success for the town. Members of the congregation at St Mary’s sing Christmas Carols to the residents of nursing homes in Abergavenny. The Beaufort Male Choir perform a concert in the Priory Centre to raise money for the children’s ward at Neville Hall Hospital. 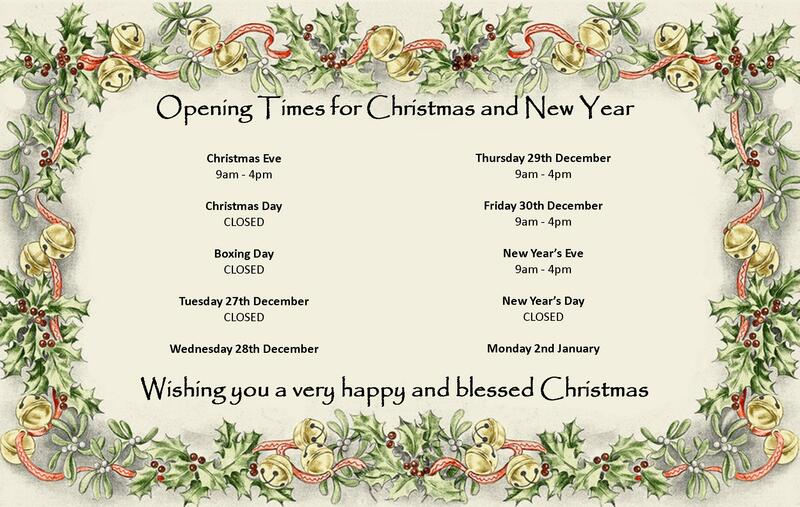 Richard Morgan and volunteers at the Tithe Barn would like to wish all their loyal visitors a very happy and blessed Christmas. 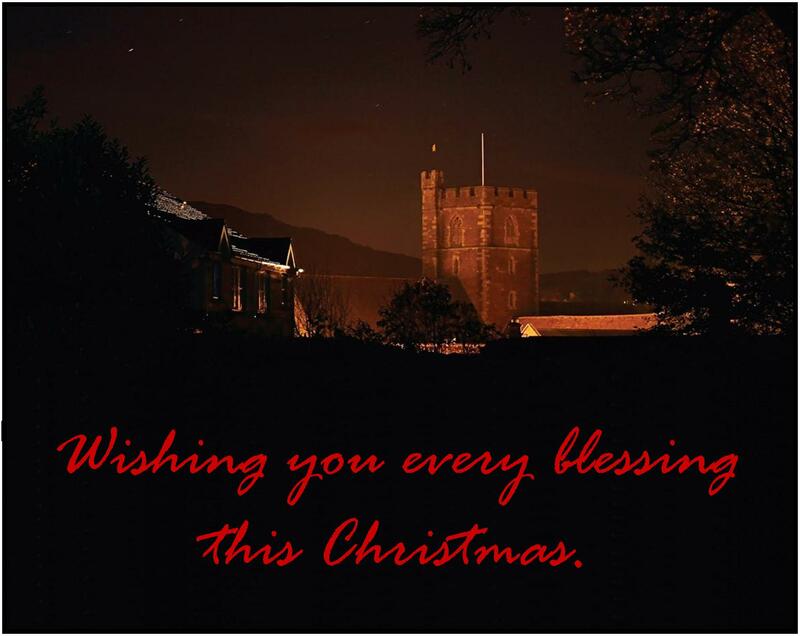 Please visit the Church blog for details of Christmas services during the festive period.